I first got into Kanye West in 2005 with the release of Late Registration. There is a Grammy winning track on that album called Diamonds from Sierra Leone. 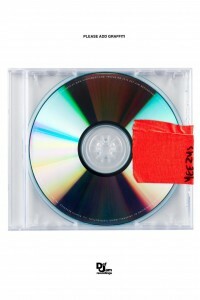 It was originally a solo recording for Kanye but Jay-Z extended the track with his own verse and it was included as the final track as a “remix” of the original. I thought the remix was great and Jay-Z crushed it. I became a fan of Kanye West. I had been really into Bonnaroo at that time of my life. I was running a Dave Matthews Band fan site at the time and used it to get press credentials for the festival. I shared some amazing memories and built relationships at Bonnaroo. I wrote reviews of the festival and set up interviews with the likes of Grace Potter and Sharon Jones. In 2008, Kanye was scheduled to perform the main stage at Bonnaroo and I defended him to my pals, insisting he was worth listening to. Then he rescheduled his performance and arrived late to that. Ultimately he really blew the performance, only to later condemn Bonnaroo. I contrasted Kanye’s performance with then rising Lupe Fiasco’s set in The Other Tent as a difference of appreciation for the festival. As a long-time attendee, I had never witnessed such a lack of professionalism from an artist at Bonnaroo. Kanye has had a lot of problems in public, yet I had given him a pass. But this was too much, I stopped listening. And then he dropped My Beautiful Dark Twisted Fantasy. The demonstration of artistry on that album re-wired my senses, allowing his music to cover for his public mistakes. I still listen to that album. Last week he did a surprise appearance at the Adult Swim Upfront event last week that included a rant. This past weekend projected a video debuting “New Slave” in 66 locations worldwide and performed New Slave and Black Skinhead as the musical guest on Saturday Night Live. Both tracks have interpretations posted on RapGenius, which are worth a look. I’m watching and waiting for the release. Kanye may be the most talented and complicated artists I’ve followed to-date. I’m watching this album closely, and will try to update this post as it develops. Eric Schmidt and Jared Cohen have a new book coming out called The New Digital Age. Jared Cohen’s comment in the interview is that illicit networks are two trillion dollar industry, and adds that a new virtual currency complicates the global challenge. He argues that although it could serve to empower criminals that leverage new technology, there is also new potential for mistakes that foil crime. Are you planning to travel internationally and want to unlock your iPhone? This post explains steps related to unlocking an iPhone 4S using the United States carrier, Verizon. It may also work for Android phones on the service, but my experience is with the iPhone. The process takes between 10 and 20 minutes to complete. Be sure to read the “Once you arrive” steps so you are able to finish the process. You should be aware of restrictions Verizon puts on device unlocks. Some but not all of this was covered in a Venturebeat article. Your account must be in good standing. i.e. you can not owe them money. They say that your account must have been in good standing for at least 6 months, but I do not believe they enforce this rule. You may only unlock one device per phone number every 10 months. I’ve been enjoying Sun Glitters’ most recent EP Mouth / Tight and was drawn into Zach Saginaw’s remix of the song “Mouth”. I’m writing to offer some more visibility to Zach and his work. Zach goes by the pseudonym “Shigeto,” which is both his middle name and the first name of his grandfather. This bit of background and more is covered in his profile at Ghostly International. Ghostly is a Michigan-based record label that also works with emerging electronica artists like Com Truise, Mux Mool and Phantogram. Shigeto released Lineage, a mini-LP, around this time last year which covers jazz, hip-hop and funk in eight songs. Here’s a link to stream the first track from the album online. I’ve been a fan of Devendra Banhart’s since I saw him open for Joanna Newsom at Berbati’s Pan in 2004. The new album is titled Mala and is coming out on March 12th on Nonesuch Records. Sunita Williams gives a 25 minute tour of the International Space Station. Amazing! I’m pleased to wish the world a very Happy New Year. I believe 2013 will be a year of limitless possibility. I look forward to helping fulfill its potential as a year where society makes progress in demonstrating greater love and compassion for each other. I’ve been working throughout the year on my startup, Gliph. This has kept me away from updating my personal blog here. I write the Gliph company blog and remain active on Twitter @jetsetter. I returned from my second Rainbow Gathering last night. Once again, it was a life-changing experience. The Gathering is a community event that takes place in national forest land around the 4th of July each year. The idea is that every person on the planet should love each other as members of a giant family. People work together to build temporary infrastructure that supports a community of 5-15,000 people for about a week. People unfamiliar with the Gathering often describe it as some kind of hippie event. There is some truth to this, as the hippie subculture of the 1960s had an emphasis on peace and love. The Gathering also got its start in 1972, and culminates in a prayer for peace. However, I get the sense that people view a “hippie” today as tuned-out idealists of yesterday rather than active and engaged proponents of love and peace.